This reminds me of the Simpsons episode "Summer of 4ft 2"
When homer is packing for a vacation he makes sure to pack his novelty dog leash like the one mentioned and has a good chuckle at how clever it is. Hi , thank you for sharing the informations. 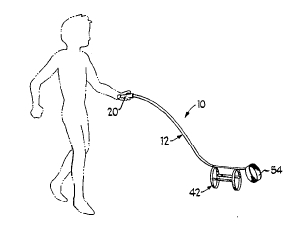 Mounted within the collar end of the leash is a micro speaker which is connected by wiring through the hollow leash to the circuitry in the handle. I make it a point that whenever I leave for a business trip that I brought along with me a couple of business cards in case I meet other business men there. ПОМОГУ ПРОДАТЬ БЕСПЛАТНО ПОЧТИ ЛЮБОЙ ТОВАР. Все, что не запрещено Законом. Найду нужное Вам оборудование или иной товар. Самое разное без посредников, напрямую от Заводов или Владельца.